For the highest caliber commercial refrigeration repair in Orlando, call the pros at All Temp AC and Refrigeration, we have the expertise, experience and equipment necessary to keep your commercial refrigeration systems working, whether in a restaurant, grocery or convenience store, hotel or other establishment. We understand that downtime can mean loss of sales, and in some cases, valued customers. 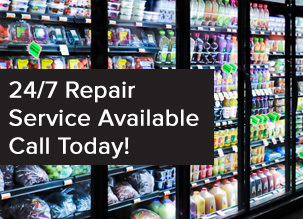 That’s why we offer emergency commercial refrigeration repair in Orlando services every hour of every day, every day of the year. There is no job too big, too small or too difficult for our highly-trained experts. If you have a problem, we can fix it fast and fix it right. 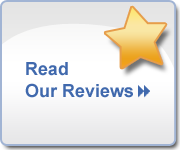 Every aspect of our service operations come with a 100% satisfaction money back guarantee. We also offer receiving of equipment, delivery and installation, and removal of equipment you no longer need. Through years of experience, we also know that one of the keys to preventing downtime is periodic maintenance. That’s why we offer a variety of maintenance contracts designed to meet the unique needs of your equipment and business. Parts can wear out and others can slowly start to run less efficiently, causing the unit to work harder, raising utility bills. Our technicians not only replace parts, they calibrate equipment and clean inside housings where dust can build up causing overheating, preventing problems from cropping up. At All Temp, we also offer Industrial & Process Type Refrigeration, and Refrigeration Equipment Repair.This is a service where we build commercial units from scratch to create unique refrigeration systems designed to meet special needs. Whether in a lab, at the zoo, or simply to allow for placing a unit in an existing establishment where a conventionally sized model won’t fit, we have technicians with years of experience who can build whatever type cooling system you need. We won’t disappear on you either. Once the unit is built and put in place, we’ll be there for periodic maintenance and repair. At All Temp AC and Refrigeration, our main objective is the continuous operation of your commercial refrigeration system. We aren’t happy if you aren’t happy. We offer the best commercial refrigeration repair in Orlando and want you to be a long-time satisfied customer. Please contact All Temp at 407-857-7800 (Orlando Area) or 813-630-9400 (Tampa area).